The protesting noise of the audience was almost unbearable when Nat'E, Ogre player of the Nordland Hawks, beat Gorhuk senseless with a mighty blow. "Yes!" a nobly dressed nobleman triumphed in the VIP lodge of the Nordland Dome. "If the greenskins continue to let themselves being smashed by the Hawks, I'll win my bet high!". "PSSSSST ..." it suddenly sounded conspiratorially behind the nobleman. "Eh !? What do you want here ...?" said the nobleman in disgusted astonishment. "I bet da Ogre will stop playing without anyone e'en touchin' 'im..." said a tiny-looking Goblin with a helmet that was way too big for his head. "HA! Nat'E stops playing without oppositional interference!? Never! The guy's a machine!!!" the nobleman sneered. "Nah, maaan...you'll see...well, what about that bet? If I'm right, your whole glitterin‘ gubbinz will be mine. Aaand if you win, you'll get doubleee..." replied the little Goblin calmly. Greed slid into the eyes of the fat nobleman. "DEAL!" he said, slapping the Goblin's outstretched hand. The Goblin waddled to the edge of the lodge balcony and waved briefly, before finally returning to the nobleman's side. 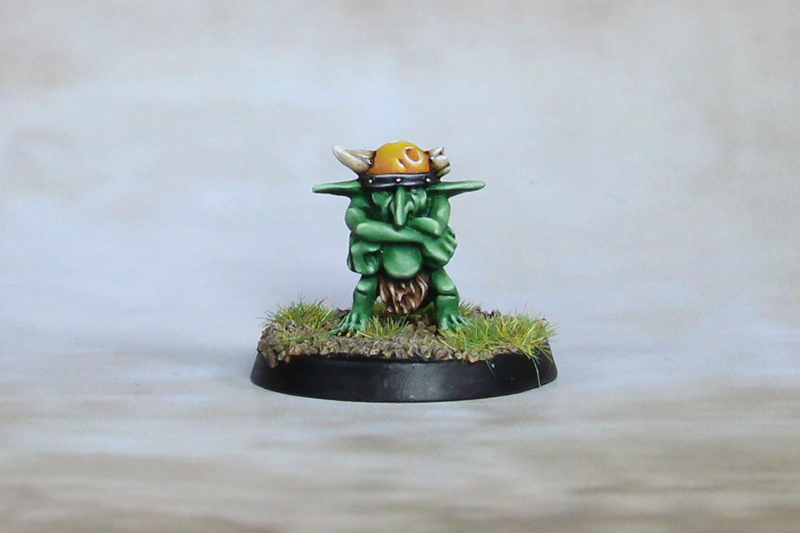 It only took a mere moment for two more little Goblins to emerge next to the Maulers' dugout, with something that looked like a stylized doll of a sad-looking Halfling with a chef's hat, swinging it back and forth. Nat'E, who had just gained control of the ball and started to dash for the Maulers endzone, suddenly slowed until he came to a stop with a blank, questioning look on his face. "Rufio ...? RUFIO !?" yelled Nat'E, who dropped the pigskin and ran to the doll - right off the field. "Pooooor Nat'E. His buddy da cook is...'missing' since last week ...that shook da big un quite a bit." the Goblin sneered, his face twisting into a nasty grimace. Enraged, the nobleman turned to the greenskin with a dagger in his hand as he realized he had been tricked. But in the blink of an eye, two huge Orcs, armed with raw clubs, emerged from behind the curtain that had blocked the access to the box. "Um...I mean...whose hands should I send the sum to?" he stuttered, aware of his misery. 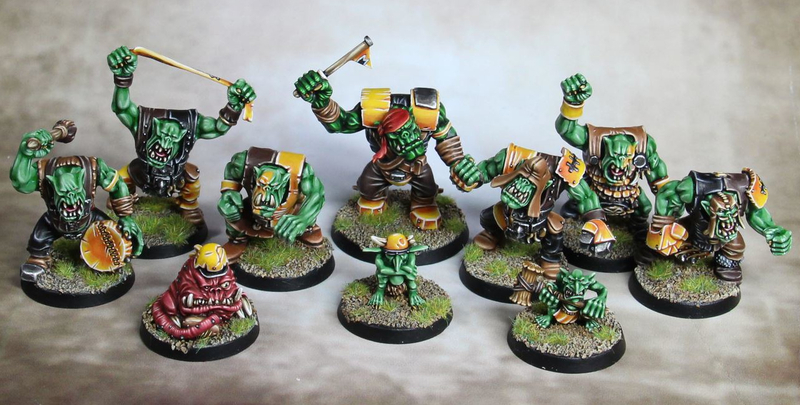 "Da Gubbinz goes to Fink da Fixer" the Goblin said crossing his arms "of da Kneebreakaz club. An’ if ya need too long…". Threateningly, one of his henchmen clenched his fists a few times in a playful way. The nobleman nodded and bowed his head as Fink and his boys finally left the box.